THE TRIP part one: Discover the inspiration behind THE TRIP and how its creators turned an idea into the cutting edge of exercise. As anyone who has experienced it will agree, THE TRIP™ is indeed a trip. 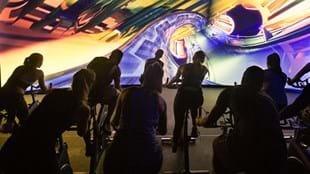 An immersive cycling journey through virtual worlds, it matches sensory stimulation with physical exertion in entirely new ways for fitness. Roads rise up to meet you, your mind and stomach react naturally to the dips and curves, the landscapes and scenery flow past you at an entirely realistic velocity. It leaves you breathless in more ways than one. It’s perhaps not surprising, then, that the revolutionary immersive fitness program has its deep origins in a parallel but related universe. Co-creators and old friends Les Mills Jnr and Adam Lazarus had grown up going to music festivals, where entertainment, group dynamics and physical movement are also central to the experience. From that initial spark in 2012 the concept grew into the fully-fledged IMMERSIVE FITNESS™ program that became THE TRIP, and which is now receiving the kind of international attention its developers could have only dreamed of at the start. The word-of-mouth and media is rewarding, too, because getting THE TRIP to this stage has been a long and demanding process for all involved. For Les and Adam it meant diving into the world of light and video projection to see what was – and might be – possible. 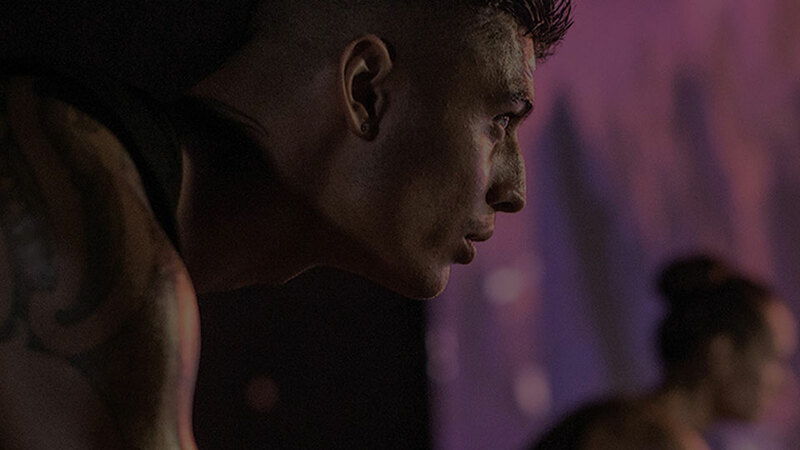 From there they took the concept to leading New Zealand live event production company Inside Out, and put together a selection of samples around several LES MILLS™ classes, including a two-minute cycling segment set in an imaginary CGI cityscape. “Out of the entire project, those two minutes were the one section we were most interested in straight away,” says Les. At this stage, however, it was not yet clear that an entirely new cycling class would become the flagship immersive program. LES MILLS GRIT™ and RPM™ were also selected for early development at a specially established trial space/concept store inside the Les Mills Auckland City gym. Of the three experimental 30-minute concepts that emerged, again, one idea stood out. 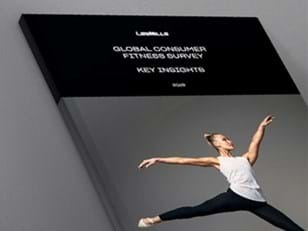 Having been shown the potential, the Les Mills board approved a European roadshow. Dubbed “The Project” and mounted in partnership with Reebok, a portable boutique gym was designed that could be trucked to various locations to showcase the immersive “future of fitness”. Time poor and still feeling their way, Les and Adam added another visual animation company to augment the team. 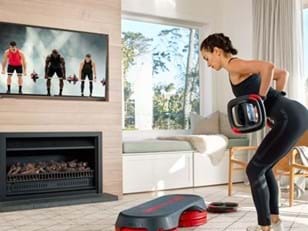 Short immersive samples of “gamified” LES MILLS GRIT and BODYCOMBAT™ were created, as well as a BODYBALANCE™ sequence featuring a time-lapse sunrise over the Southern Alps of New Zealand. An IMMERSIVE FITNESS Instagram page was set up, and the Les Mills instructor tribe invited to check it out and give their responses. Les is quick to pay tribute to Adam Lazarus, who took on the early technological challenges of bringing the creative ideas to life. Nothing similar had been attempted for fitness, and much of the hardware and software needed to be scoped and tested from scratch. Similarly, what early market research that existed was largely anecdotal – but it was strongly positive enough for the developers to know they were onto something. With THE TRIP 6 now in studios, and THE TRIP 7 in development, maybe the most rewarding thing is that the program is still true to its own inspiration, and to the core appeal of LES MILLS classes in general.